Life with toddlers: it’s not for the faint of heart. Toddlers are wonderful humans. They are curious and compassionate, full of energy and emotion. I live with one myself, a little sprite who brings joy to the whole family each day, and who embraces and insists upon independence, choice, and doing it herself! One of the greatest gifts I received during my Montessori training a few years back was my teacher’s wonderful advice to, in the midst of those inevitable stormy moments with a toddler, step back from the intensity of the storm and ask: what is the child’s developmental need? I learned that, contrary to our culture’s comments on tantrums and the “terrible twos,” a toddler isn’t developmentally capable of being willful. Toddlers are naturally without motive — it’s not until around three years-old that a child’s own will actually even develops. What drives a toddler is this forward movement into their own development. Occasionally, there are limits that interrupt that forward motion — whether it’s a parent, who absent-mindedly takes over zipping up a jacket, or needs a child to be buckled into a car seat — or even just the physical limits of the natural world, like when a child wants to fit a large block into a small hole. Encountering these edges can mean that joyful child is suddenly frustrated — more so than seems reasonable to the parent who has their own set of expectations front of mind. 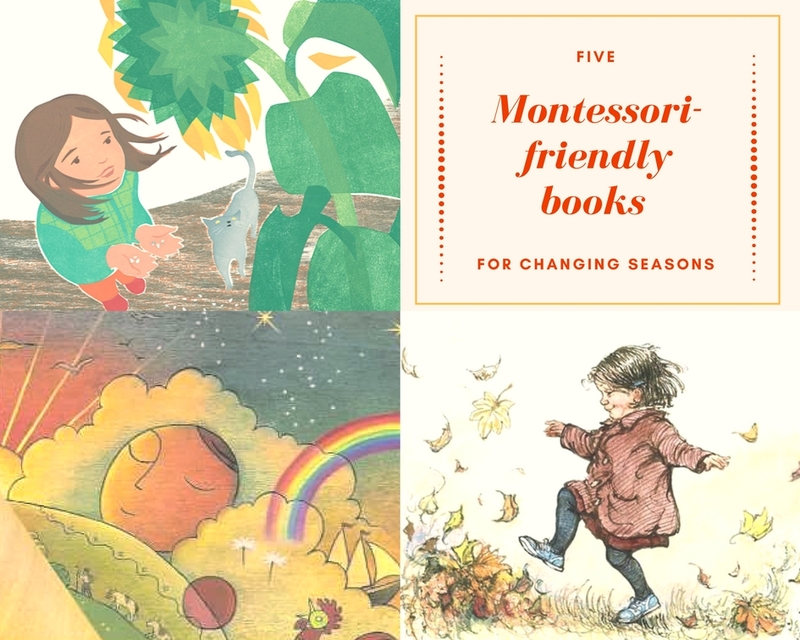 Montessori identified that there are certain times in a child’s life when they are overwhelmingly interested in and able to take in certain developmental stages, called sensitive periods. Sometimes parents see their child acting “obsessed,” repeatedly doing the same thing: taking shoes on and off, climbing the stairs, turning lights off. Whenever that repeated activity is happening, you can bet that it’s because some big learning is happening. As caregivers, understanding sensitive periods can shed light on what is happening for a frustrated toddler. Toddlers are sensitive to order, they have a need for movement, and for language. A toddler who is sensitive to order — a natural desire that things should be “just so”— might be like the little guy I met at a party a few years ago. People were gathered around the door, some dressing, some going out, and a little toddler stood in the midst of it all, insisting that the open door should be closed. His mother was getting annoyed, it seemed inappropriate — some folks were about to go out. But from his perspective, he saw something that was out of order: an open door should be closed. I know a sweet little girl who lives in a one-storey home. Get that girl into a house with stairs, and she’s got one focus, every time: up, then down. Up, then down. She’s gotta move! I remember reading somewhere that Maria Montessori suspected that the reason young kids love slides so much isn’t actually about the sliding: it’s all about the stairs. I’ve faced all kinds of challenges with a child in need of movement: a long flight with a toddler on my lap, a music class for toddlers that expected my 13-month old to stay seated for 30 minutes, or simply a Tuesday afternoon preschool pick-up deadline, with a toddler who didn’t get enough playtime after her nap. So what’s to be done when developmental need bumps up against the edges of regular family life? Sometimes just recognizing what the developmental need is takes the intensity out and gives me compassion for my child in the moment, and that in itself feels like enough. Sometimes you spend most of a party over on the stairs, letting that eager girl climb. Sometimes I have to say: “I know you’d like to keep walking, but we need to take the car to get there on time. Do you want to climb in or do you need my help?” And if she keeps on running, I take that as a choice that she needs my help getting into the car (and I make a note: this toddler needs some freedom to move). This parenting thing is always imperfect, but looking for the developmental need can offer just the type of opportunity I’m always looking for as a mom: to bring a little more space into a stressful moment.